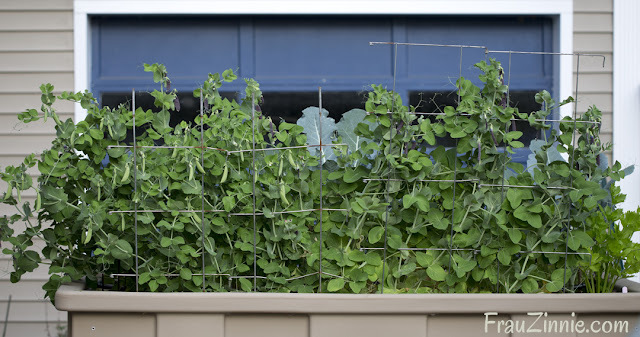 Garden peas growing in the Eco Garden System, based in the driveway. Earlier this year I embarked on a self-declared Garden Lifestyle Challenge in order to grow more of my own food and become healthier in the process (learn more here). Not surprisingly, all the extra time I have managed to dedicate to the garden, either in early morning before work or early evening before dinner, is helping my body become stronger —which I was hoping would be a side effect! This growing season I started out with high hopes. Obviously, growing your own food takes a lot of planning, and I quickly learned that I didn't start some seeds early enough when it came to edibles. This wasn't a newbie mistake, because I have previously started these plants earlier in the past (for example, tomato and pepper seeds). It simply illustrates how important it is to stick to a schedule in order to ensure a continuous harvest of food. 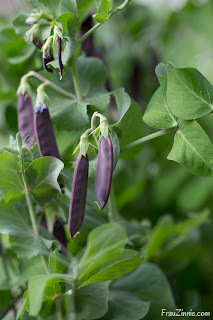 Despite that, my garden is still in the running with summer crops growing with the July heat. Here are some lessons I learned this past spring – and what's to come for summer. The berries are producing and happily there are plenty of black raspberries and blueberries to share with the songbirds who sample. Each year I am reminded of how much I need to plant more blueberry plants. The black raspberries are definitely a treat, but they do not compare to the big, deep red raspberries that are my favorite. Now ripening is a strand of raspberry that is so delicious but I long ago lost the identity of the plant. I need to edit my raspberry growing area this year, so I am marking the stems of the plant I like in order to make sure I save these canes. Above left, 'Desiree Dwarf Blauwschokkers' garden pea from Baker Creek Seeds was good for shelling. Above right, 'Little Crunch' container snap peas from Renee's Garden, which rarely made it into the house for dinner! Below, celery and broccoli growing in the Eco Garden System. 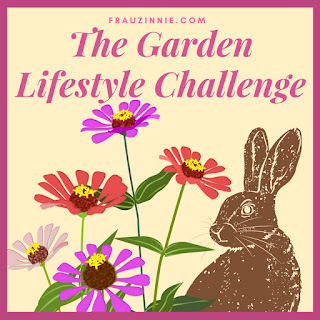 One of the goals of my challenge was to start eating more from the garden to reap the benefits of antioxidants and organic produce. 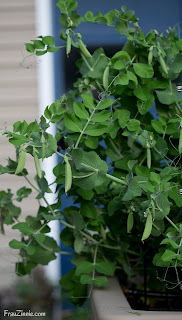 I learned that snap peas are great sources for antioxidants, and of course so are the berries I grow. The snap peas produced heavily in the Eco Garden System that is based in my driveway, often not making it indoors for dinner. 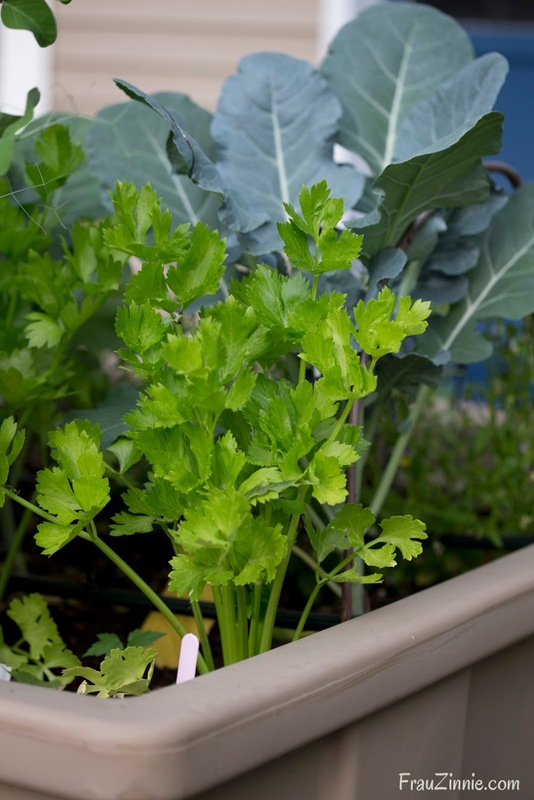 I also grew lettuce and I am still growing celery in this system, which has contributed to feeding my house rabbits for several evenings in late June and early July. 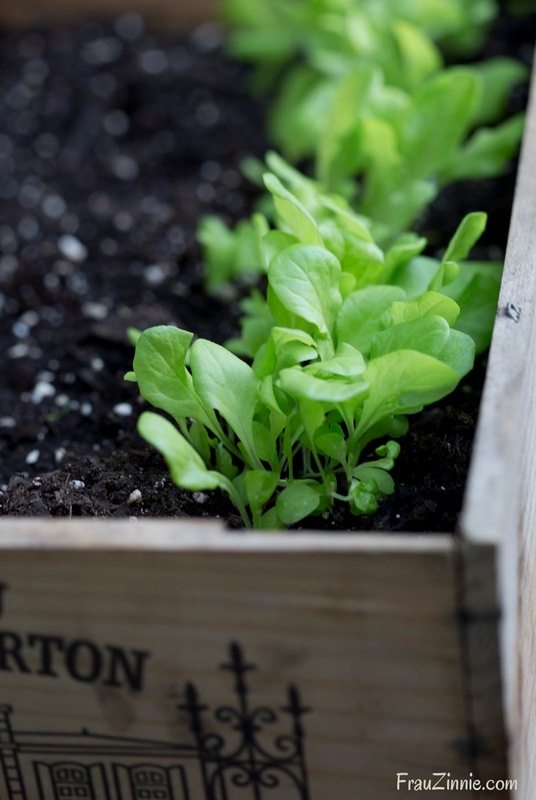 Lettuce growing in a wine box, gifted to me from my friend Emily Murphy of Pass the Pistil. Starting out the Garden Lifestyle Challenge, I tried to prepare myself for the inevitable crop failure. Not surprisingly, my initial crop of lettuce was chewed on by a creature – either groundhog or rabbit. I became too confident when it came to my beautiful broccoli plants that I grew from seed and initially covered with a floating row cover to protect from pests. But to enjoy their vigor I removed the cover and soon the cabbage moths found them and then riddled them with caterpillars. The broccoli plants in fabric grow pots were sheared by yet another hungry creature. So much for a broccoli crop this spring. (Perhaps I'll try again for a fall crop.) The one good news is that the cardinals had a delicious evening dinner of several cabbage moth caterpillars before I pulled the plants. But what surprised me this year is the vegetable I had the most trouble with: tomatoes! 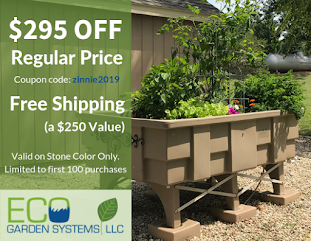 This spring I purchased a soil block maker and I've been using it more to quickly create a tray of soil blocks to sow seeds and as a way to reduce my use of plastic (in past years I relied on the four and six pack plastic cells to plant my seeds). For the soil I used a mix of 3B seed starting mix and Hydrofarm coconut coir. To make the soil blocks stay together, you need slightly more coconut coir. However, I think I must have used too much when I made my tray for the tomatoes (silly me, I've been eyeballing the mixture) and the tomatoes that I planted in April are still small. There are a few that are finally starting to take off, but I have never had such slow-growing tomato seedlings — of several different varieties — have the same problem. 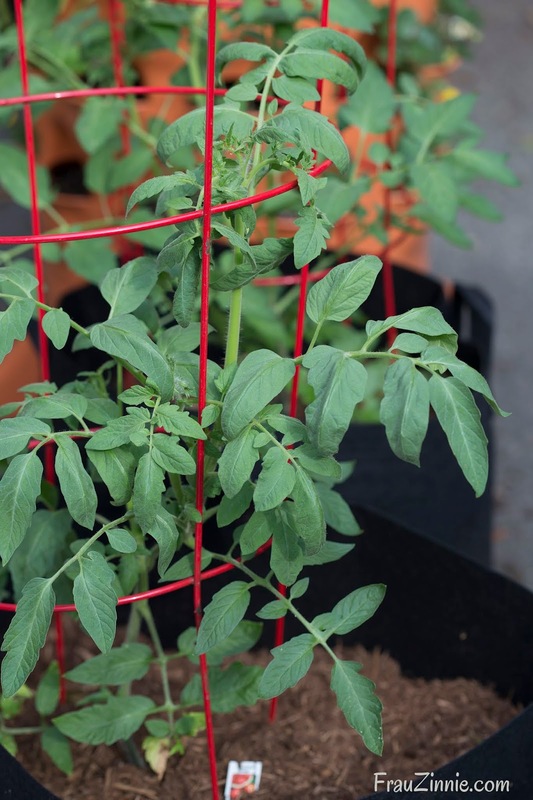 Lucky for me I have tomato plant backups so I won't go a season without tomatoes, but I won't be growing the number or variety that I had originally planned. I keep eyeing my Keiffer pear tree, which has outgrown its spot. I have reached the time in my growth as a gardener to be able to step back and reevaluate what works and does not work in the garden, and the amount of space it takes up. It's easy to remove a perennial that is too invasive, but when it comes to larger plant installations, it can be hard to stand one's ground and decide what to do. I look at the space that the tree takes up, and while it does produce fruit, it is not a fresh-eating pear, and honestly not the pear I originally thought I was purchasing. (I was trying to copy the tree my grandfather grew when I was growing up, which turned out to be a Bartlett, not a Kieffer pear tree.) Yes, I can make jam and pies from the fruit in the fall. But on a scale of what I enjoy eating more of, blueberries are higher on the list, and if I remove the tree, not only can I plant a few more bushes that are currently adjacent to it, but it would open up sunlight in my front perennial garden which is becoming more shaded as the growing seasons go by. Sometimes being a gardener involves tough choices. I'm still undecided what to do. There are some crops I grow that are in the wrong spot and I need to figure out where to relocate them to. 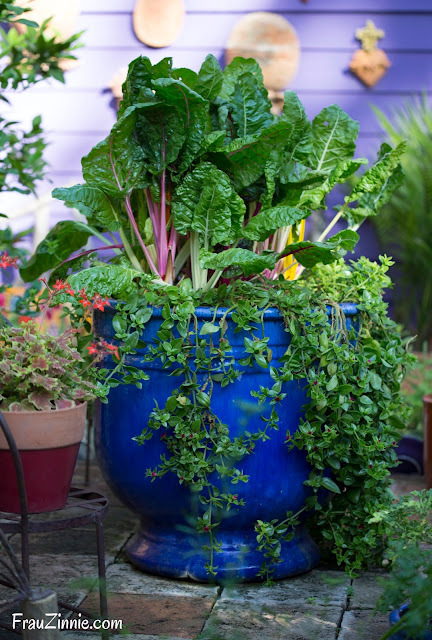 These include rhubarb and Egyptian walking onions. Still looking for good recipes to use with both of these prolific producers. I was lucky to win a sample plant of 'Caspian Pink' heirloom tomato in a giveaway sponsored by Grow Joy Plants that my friend Angie The Freckled Rose entered — we each were sent a plant. Given my bad luck with tomato seedlings this spring, it's nice to know I will still have tomatoes to harvest! I'm not an expert when it comes to growing edibles, but every year I find that I learn much more than the year before. This year's lessons (so far) include reevaluating growing space and better planning for crops. While my garden is not yet at the point where it can provide continuous food, it is getting there. I am still evaluating the potential of redoing the front bed along the road to remove ornamentals and put in more edibles. There are already two blueberry bushes near there, and I planted pepper plants nearby. I'd like to expand this area to include more edible plants, but the main challenges include to soil quality and amount of sunlight. This spot often receives late day sun, which can be a difficult sell for many plants, not to mention edibles. I'm hoping that if I can improve the soil quality and water retention issues that this will open the way for leafy greens to be grown in this strip. 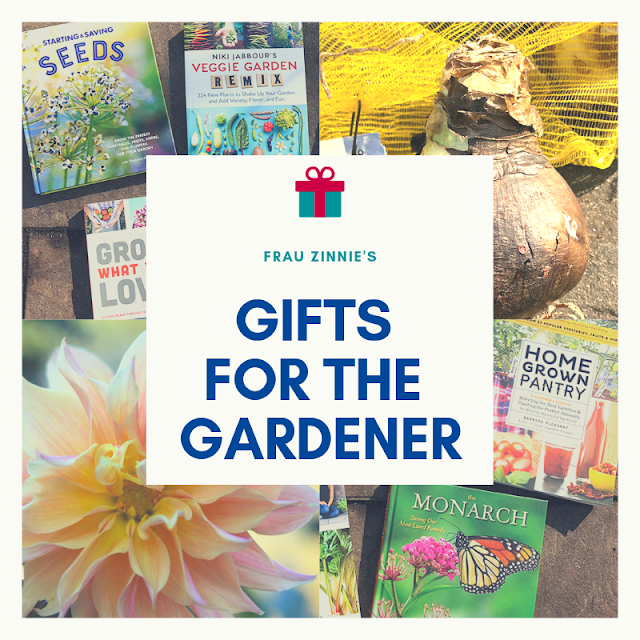 Now it's time to focus on summer crops: tomatoes, ground cherries, peppers, pumpkins, watermelons, cucumbers, cucamelons, herbs, beans and more.